Chopin could not stand any textual changes in his compositions and claimed that his music should be performed as it was written. By making these reservations, Chopin did not exclude even his friends (including Liszt). The National Edition Chopin’s works is a unique editorial undertaking. 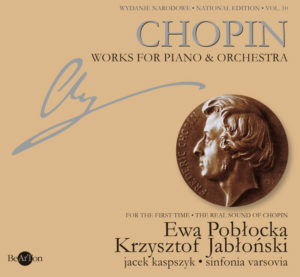 Its goal is the publication of Fryderyk Chopin’s oeuvre in its authentic form and, wherever existing sources make it impossible, in a shape that is as close to authenticity as possible. In view of the current trend to perform music as it was intended by the composer, such a goal is both necessary and feasible. 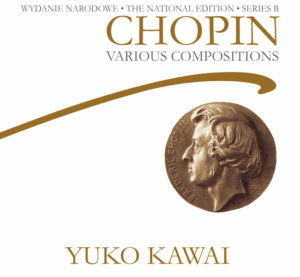 This need is dictated by the abundance of existing Chopin sources, both in their original form and in photocopies. Researchers have developed methods of defining their authenticity. Chopin belongs not only to the most often performed composers but also to those whose works have had the greatest number of publications. About 100 complete editions of his works have been published during the past 150 years. They differ considerably. Chopin entrusted the publication of his compositions to many publishers, in France, Germany and England. The thing is that the manuscripts that he offered to them (autographs and copies) were not always the same, while not all the copies and first editions were proof-read by him. Moreover, the publishers made their editing, the printers made errors and deletions, whereas the editors standardized the text to their own liking. All this resulted in numerous inaccuracies which made it difficult to distinguish the composer’s genius from an editor’s interference. Admittedly, some editions attempted to improve such a state of affairs. None of them, however, satisfactorily met the requirements of present-day music publishing, particularly as regards an inventory of sources which reflect most fully the composer’s intention. 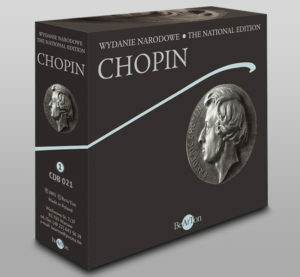 The National Edition Chopin’s works meets this requirement being the first edition of the Chopin’s entire output based on the sources. Each volume is supplied with a bilingual (Polish-English) Source commentary, which describes all the sources and their role in editing the text in its final shape. The National Edition is at the same time practical in use. The lucidity of the original musical notation makes the text easily readable. Furthermore, the musical text is supplemented with a Performance commentary, which contains suggestions relating to the composer’s ambiguous markings (ornamentation, pedalling, etc.). 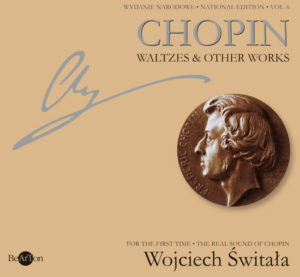 These suggestions are based on remarks by Chopin’s pupils, accounts by the composer himself and other credible sources. An important feature of the National Edition, which distinguishes it from other editions, is the inclusion, alongside the main text, of authentic variants of the text. Most editions are confined (usually without any justification) to a single musical text for each composition. This hardly presents a given composition’s full picture. This is because creating variants was one of the hallmarks of Chopin’s approach to composition. His idea was to produce variants (of equal rank) of various elements of a musical work, allowing the performer to make a choice, albeit always in line with the composer’s suggestions. The National Edition Chopin's works falls into two parts: Series A – Works published during Chopin’s lifetime and Series B – Works published posthumously. In contrast to the former which Chopin prepared for publication, the latter were not intended by Chopin for publication. They lack, therefore, the finishing touches to the musical text made by the composer. Series B contains works in the form of initial sketches or notated during the compositional process, without any performance directions. The sources of these works are mostly unavailable and the only surviving specimens are the copies or versions made on the basis of these sources. It was common practice, however, that the copies and versions contained additions and amendments whose scope is difficult to define. 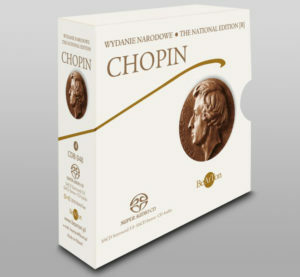 In such cases, the editors of the National Edition Chopin’s works carried out a reconstruction of authentic sources. This might cover all the elements of the work (in extreme cases including its form), or just some of its elements, such as performance directions. Series B also contains compositions which exist in several neat autograph manuscripts, written at various times and differing one from the other, with an evident disregard for an ultimate selection from amongst many concepts. In such cases the National Edition Chopin’s works presents more than one version of a given work. In a situation where the inventory of sources for individual pieces is very diverse and interconnected by a web of complex links, each work is treated individually and the editorial methods are treated in a flexible way. A general rule adopted in resolving the editorial problems in Series B is a cross-reference to analogous instances in the chronologically and stylistically related works of Series A. The National Edition Chopin’s works is the first one to arrange chronologically the works of unquestioned Chopin authorship published after his death. 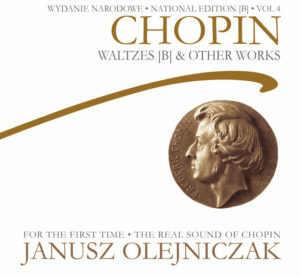 Together with the opus works they have been given parallel numbering, marked WN [Wydanie Narodowe – National Edition] from 1 to 65. In this way, the National Edition discards Julian Fontana’s misleading numbering [‘opus” (?!) 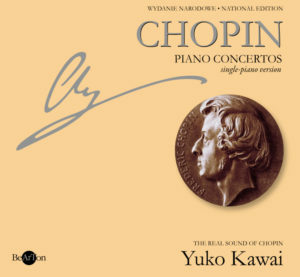 66-74], used in the posthumous editions of 1855 and 1859, as well as in other later editions, and which unjustifiably continued Chopin’s numbering and therefore suggested that posthumous opus numbers referred to works written during the composer’s last years. In recognition of the special significance for presenting Chopin’s legacy in its most authentic shape, the Senate of the Republic of Poland granted the project the status of a national edition. According to Józef M. Chomiński, one of the most eminent Polish musicologists: The National Edition […] fully deserves the label of a monumental publication. It will bring pride to Polish academic research and art both in Poland and abroad. 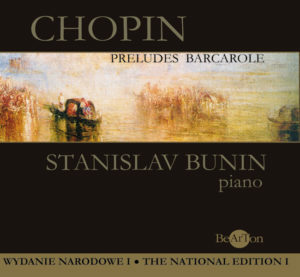 BeArTon has produced a series of 12 CDs based on the National Edition of Chopin Works published during Chopin`s lifetime [Series A]. It is also available in three boxed sets containing the whole series. 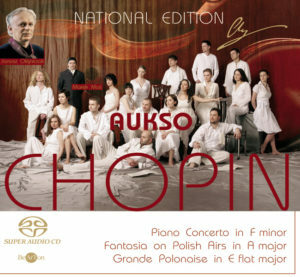 It is the world’s first CD series featuring the interpretation of the musical text which comes the closest to the composer’s autographs and intentions. 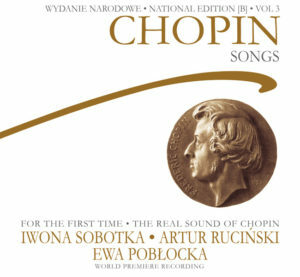 The soloists are five Polish pianists: Krzysztof Jabłoński, Piotr Paleczny, Ewa Pobłocka, Janusz Olejniczak and Wojciech Świtała, all prize-winners of the International Chopin Competition in Warsaw. They are accompanied by Sinfonia Varsovia under Jerzy Maksymiuk and Jacek Kaspszyk. The Chopin series has generated a great interest and met with high acclaim, evidenced by numerous awards such as FRYDERYK 2002 and a nomination to this award in the category Greatest Polish Music Records, the GRAND PRIX DU DISQUE 2000 for the Waltzes [Vol. 6], the GRAND PRIX DU DISQUE 2005 for the Rondos [Vol. 12] and two Golden Discs for the Ballades [Vol. 1] and the Piano Concertos [Vol. 11]. The series is also of notable historical merit as it documents styles of interpretation of the most prominent Polish pianists of the middle generation. There are here Fryderyk Chopin’s compositions, which were not intended by the composer for publication. All music albums Series B of National Edition were registered in hybrid version of the multi-channel Super Audio CD. Discs consist of two layers: SACD recording with higher technical quality (multi-channel version 5.0 and version two-channel stereo) and CD audio (stereo).